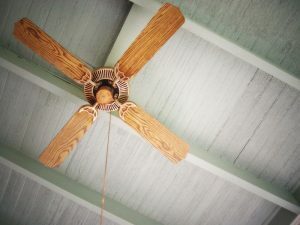 Posted in Heating | Comments Off on Can a Ceiling Fan Make Your Heater More Efficient? Many homes in the Cedar Falls, IA area rely on boilers to do the job in the winter, and while they are eminently reliable systems, they suffer from problems from time to time. Timely maintenance can help with that, but sooner or later a repair call will be necessary. Among the most common repairs we receive is a leak in the system, which not only creates puddles and other problems, but can severely affect your system’s ability to do its job. There are several possible causes of boiler leaks, which need to be addressed by a trained technician over and above simply sealing the leak. Otherwise, the problem will recur elsewhere in your system. Here are some possible causes of boiler leaks for you to watch out for. Why Is Low Air Flow a Problem for Your Heater? Here in Cedar Falls, IA, many homes still rely on forced-air furnaces for heat. They’re reliable systems and they can provide quality comfort levels at minimal cost. But like all appliances, they run into trouble from time to time, and you need to be able to spot the problems when they do. In particular, it’s important to know when the air flowing through your system is lower than normal, for it can create a serious issues for your entire system. Here’s a quick breakdown of why low air flow is a problem for your heater. Posted in Heating | Comments Off on Why Is Low Air Flow a Problem for Your Heater? Fall is here in Cedar Falls, IA, and with it comes cooler temperatures and an increased emphasis on heating. We all need reliable heaters to get us through the cold months of winter, but for whatever reason, more traditional boilers and forced-air furnaces may not be right for you. If you’re ready to replace an old heater or simply install a new one, you might consider a radiant heating system. The installation cost tends to be higher than more traditional heating systems, but there are substantial benefits that go along with it. What is radiant heating? We’ve spelling out a few quick answers below. Posted in Heating | Comments Off on What Is Radiant Heating? Autumn is officially here in Cedar Falls, IA, and with it comes the need to ramp down your air conditioner and ramp up your heating system. Both halves of the equation are important, and both require a few steps to get your HVAC system ready for the fall. Now is the time to get on it, when temperatures are mild and you can probably get along for a day or so without your system. Here’s a short series of suggestions for properly winterizing your HVAC system. Why Should I Schedule a Maintenance Session for my HVAC System? We’re approaching the end of the summer here in Cedar Falls, IA, which means that prudent homeowners will begin turning off their air conditioners and turning on their heating systems. This makes an ideal opportunity to schedule a maintenance session for your heater, your air conditioner, or both. Maintenance sessions aren’t strictly repair sessions. They’re more like a tune-up, designed to help keep your system in fighting shape. Why should you schedule a maintenance session for your HVAC system? The answers can be found below. Be sure to bookmark the ((COMPANY NAME)) blog for updates on the latest advances in ((PLUMBING OR HVAC) technology. Call ((COMPANY NAME)) for all your ((SERVICES OFFERED)) needs.